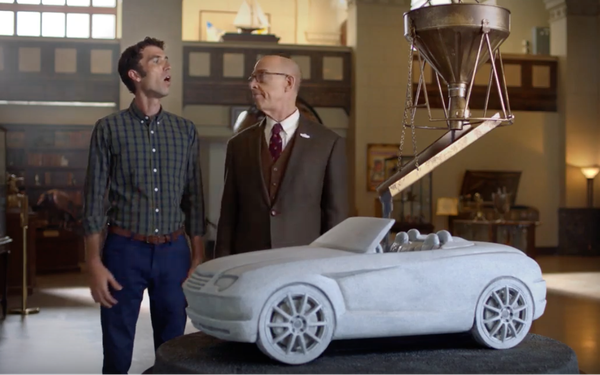 Farmers Insurance has created “episodic” spots breaking on Hulu today that are designed to take some of the sting out of those non-skippable commercials. Anyone who has streamed content or watched long-form video online knows how annoying it is to get served the same ad during each commercial break, notes a spokesperson for the insurance company. Instead of airing the same spot over and over again, Farmers is extending it over three segments—treating it like a show within the show, with twists and cliffhangers designed to leave viewers wanting more of the story during each break. Collectively, the “episodes” fit together as one complete commercial. Farmers is the first in the insurance category to create sequential stories like these on Hulu, which complements Hulu’s mission of providing “a TV experience like no other,” says the spokesperson. Part of Farmers’ “We Know From Experience” campaign, two ads will get the episodic treatment: “Parking Splat” and “Fly-By Ballooning.” The spots, from Farmers’ agency of record RPA and media agency Zenith, will launch during CNN’s New Year’s Eve special before running on Hulu starting Jan. 1.